Ive just recently picked up a 1997 GC Laredo with an after market fuel cell in it. It will only turnover but will not run without gas being trickled in the carburetor. 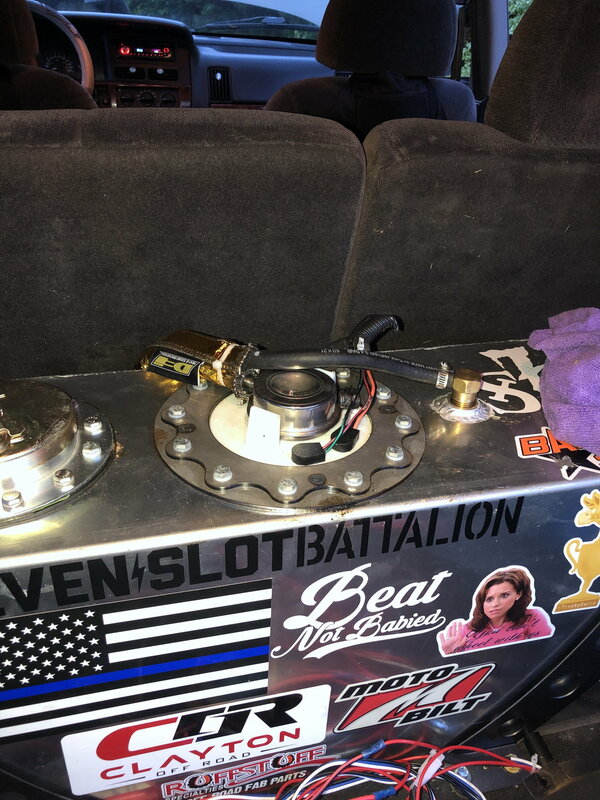 The rail is getting a little gas but the fuel pump in the back where the cell is is only getting 2.5 volts. If I gave it more voltage(we gave it 12v after we read 2.5), would it alleviate the problem? My only other guess is that the fuel pressure regulator is bad but I can’t find that in the engine bay anywhere. Last edited by JaxJeepin; 04-13-2019 at 07:56 PM. This should be in the Modified section, not Stock. Fuel regulator on fuel pump? Fuel pump sending unit or fuel pump regulator? ?